Long range wireless scanning. 150 meter range indoors and 300 meter range outdoors. 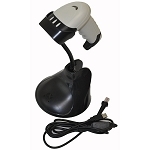 Base supports up to 254 scanners / Scanner support up to 15 bases. Great 1D scanning performance. 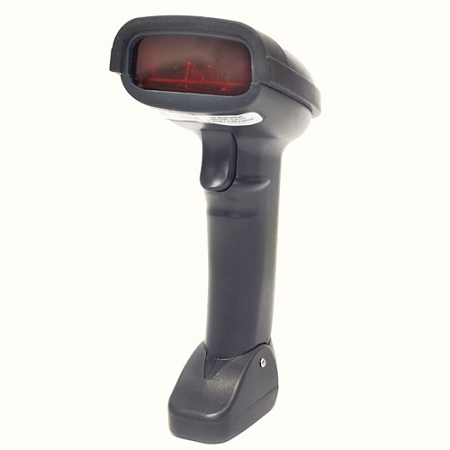 Delivers excellent scanning speed and captures virtually all 1D bar codes printed on any surface. Storage option. 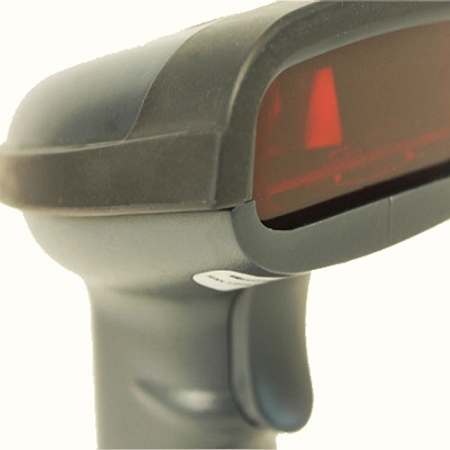 The scanner offers a storage feature without transferring data automatically. It can be transmitted at any desired time. 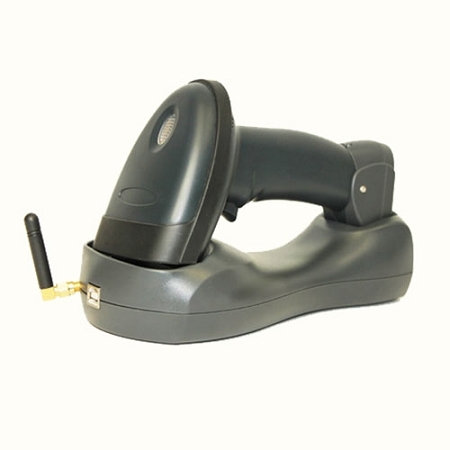 The wireless range on our Wireless Barcode Scanner with Charging Base & Built-in Rechargeable Battery is of 150 meters indoors and up to 300 meters outdoor which makes this product the best solution for scanning items in large warehouses, department and retail stores and even in grocery stores allowing you to move seamlessly from aisle to aisle while transferring the data straight to the computer or POS system. You don't need to be near the computer and you can charge it remotely using the convenient wireless base! Supported Symbologies: EAN13, EAN8, EAN128, 39 code, 93 code, 128 code, Interleave 2 of 5, Industrial 2 of 5, Matrix 2 of 5, MSI, China zip code, etc.